Distance from Arusha: to Kigoma it is roughly 1,020 km (633 miles). From Kigoma to Mahale – 130 km (80 miles). We organize excursions to Mahale Mountains National Park as tailor-made-tours only. Please contact our travel consultants for a bespoke itinerary. Located in the remote western part of Tanzania, Mahale Mountains National Park is one of the most picturesque places in Tanzania. 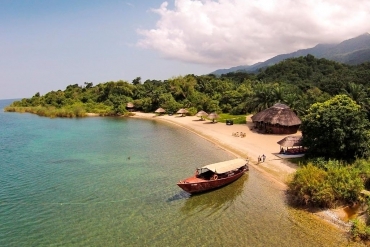 The park borders Lake Tanganyika, one of the oldest and deepest lakes in the world. Getting to the park is an adventure as it is accessible only by air and boat. There are no roads in the park, only forest paths through the lush vegetation. 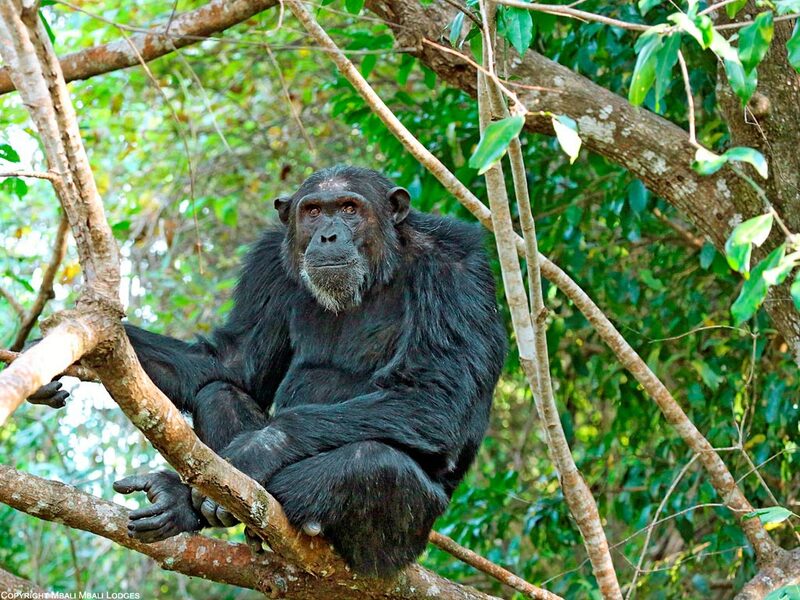 This park is a hiker’s paradise, but most importantly it is a chimpanzee paradise. 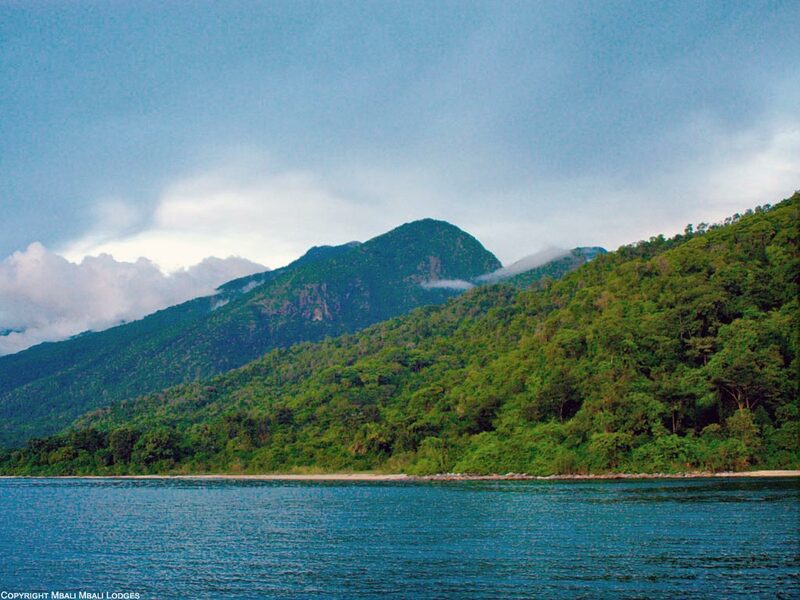 Mahale is a haven for primates, with chimpanzee trekking one of the prime reasons for visits. The park is teeming with life, rivers and waterfalls are everywhere and around the shoreline of the lake, are the most unspoilt white sandy beaches anyone could imagine. Remoteness, primate-trekking, hiking, snorkelling and bird watching. Mahale is home to nine species of primates including the yellow baboon, red colobus, blue monkeys and the red-tailed monkey as well as 73 other mammals. The chimpanzee trekking takes visitors on a wild adventure through the misty forests. Hikes can vary between 30 minutes for the first sightings to up to 3 hours. During these walks hikers also have the chance to spot other animals such as roan and sable antelope, mongoose, warthog and sometimes even lion and leopard. Crocodiles are also known to live in the park. Hippos are sometimes sighted in Lake Tanganyika, swimming in the crystal clear waters. The amphibian and reptile worlds of Mahale have still not been thoroughly researched but from what is known there are a minimum of 20 species of amphibians and 26 reptile species. 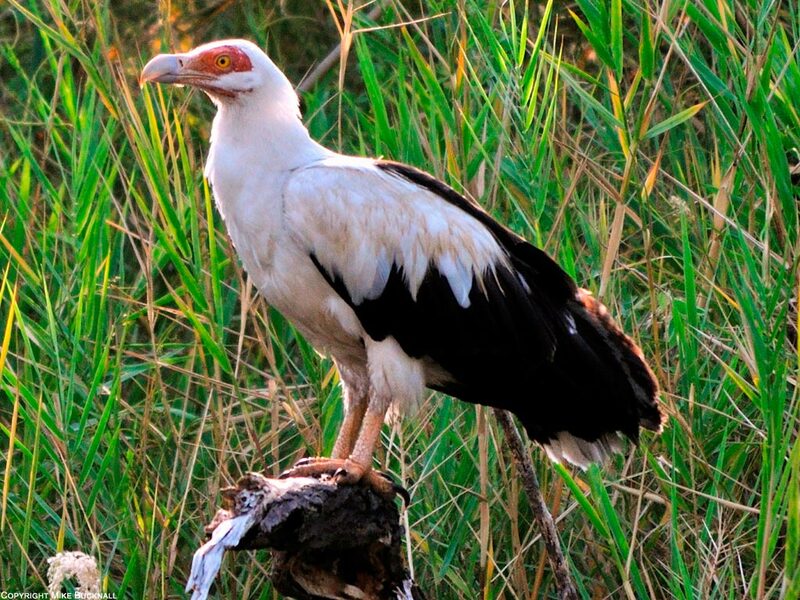 With almost 355 species of birds, the park will satisfy both amateur and serious birders. On the sandy beaches on can spot pelicans and different storks as well as malachite kingfishers, pied king fishers and fish eagles. Closer to the forests Livingston’s turacos, narina trogons, crested guinea fowls and blue cheeked bee eaters can be seen. The lake has over 250 endemic fish species and can be seen while snorkelling in the shallow waters. Mahale is not just about chimpanzee-trekking, it offers the perfect balance of wildlife viewing as well as relaxing at the lake. 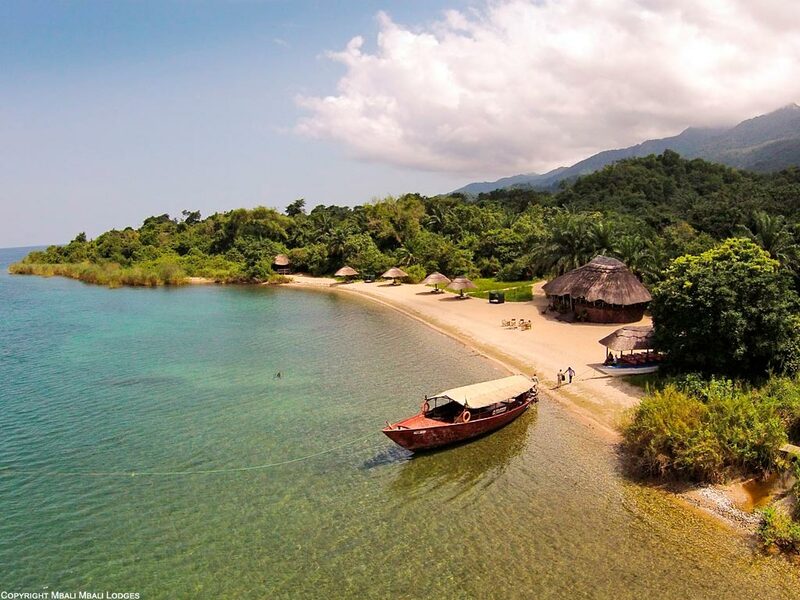 Kayaking, snorkelling and fishing on the clear waters of Lake Tanganyika adds an extra dimension to a visit to Mahale. For those looking to spend more time in the forests, hiking is an option. Climb (2-3 days) to the peak of the Mahale Mountains, Mt. Nkungwe (2,462 m).